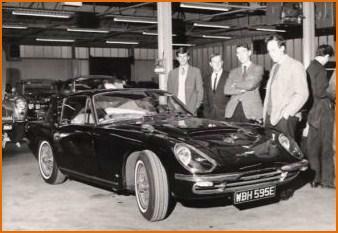 When David Brown decided it was time to complete his range of cars with a two-seater coupé following the fall in sales of the DB6, he handed production of the new project, code named MP 226 to Carrozeria Touring of Milan which had been responsible for designing the renowned Aston DB4, DB5 and DB6. 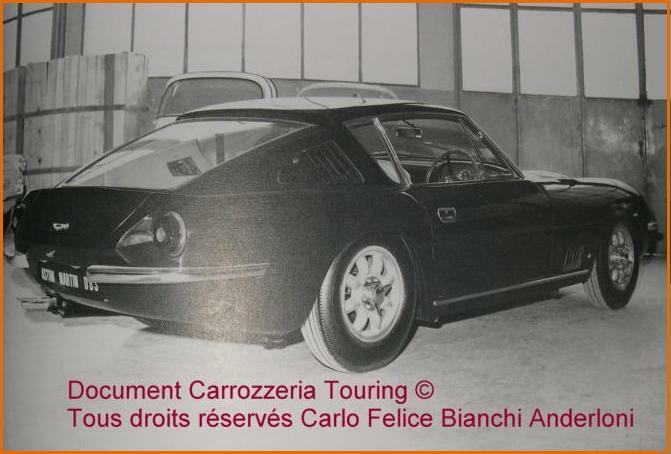 David Brown sent two shortened DB6 chassis to Milan which Touring modified to receive the De Dion suspension chosen for the new DB. The engine compartment was moved back by 267mm so as to allow it to be fitted with the all new Tadek Marek developed V8 which it was hoped would allow the car to reach 170 mph. In actual fact, MP 226/1 was equipped with the latest “Vantage C” version of the 325bhp 6 cylinder unit. On the other hand, MP 226/2/L was only equipped with the 325bhp Vantage engine. Both received Superleggera bodies produced by Touring at the time. 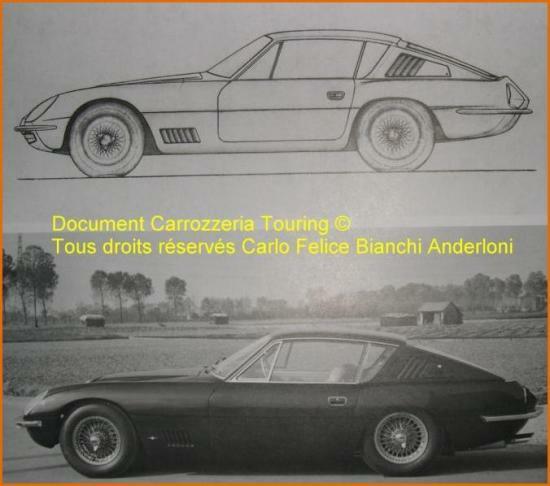 Both prototypes were presented as the brand new DBS to the public at the 1966 Paris, London and Turin Motor Shows. They were later renamed as the DBSC, to avoid confusion with the final commercialised model. Both prototypes still exist today (see later pages).